Karrie of Freckled Whimsy is ready for Summer. 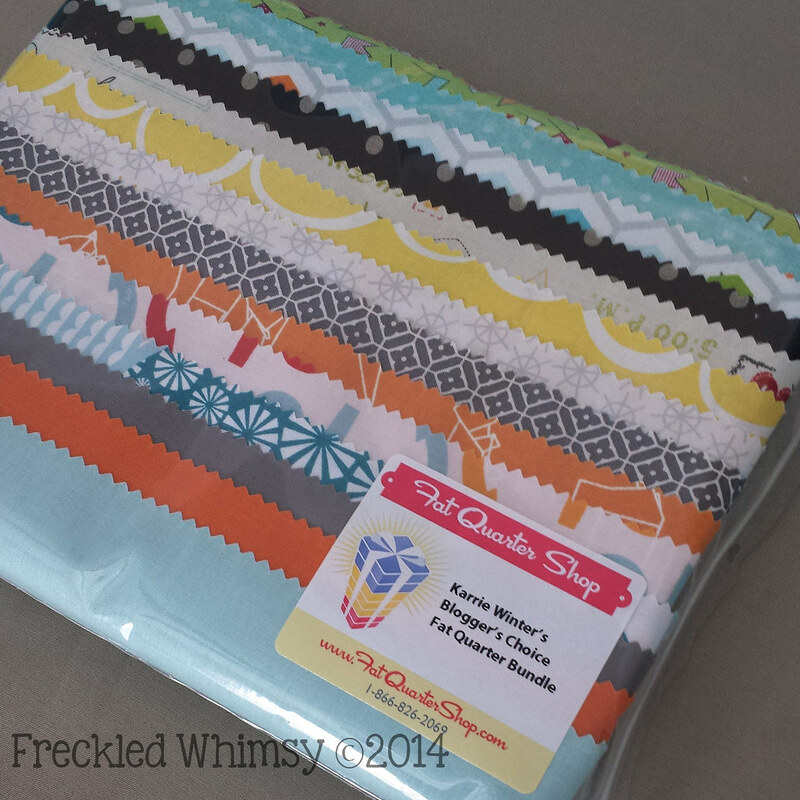 Well, at least her Blogger's Choice Fat Quarter Bundle is! 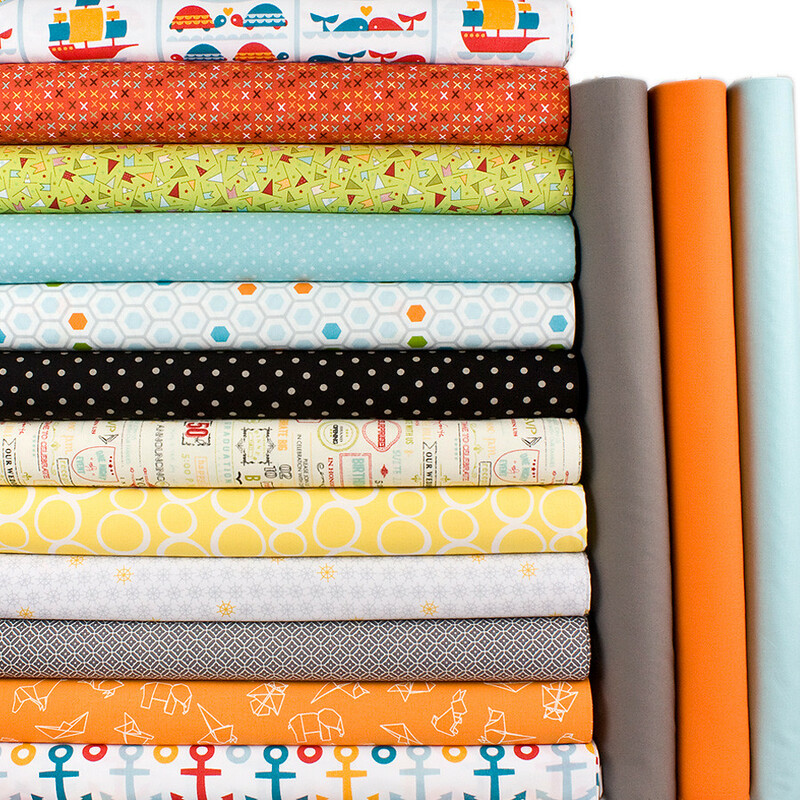 This bundle is filled with bright prints, ready for a Summer sewing project! 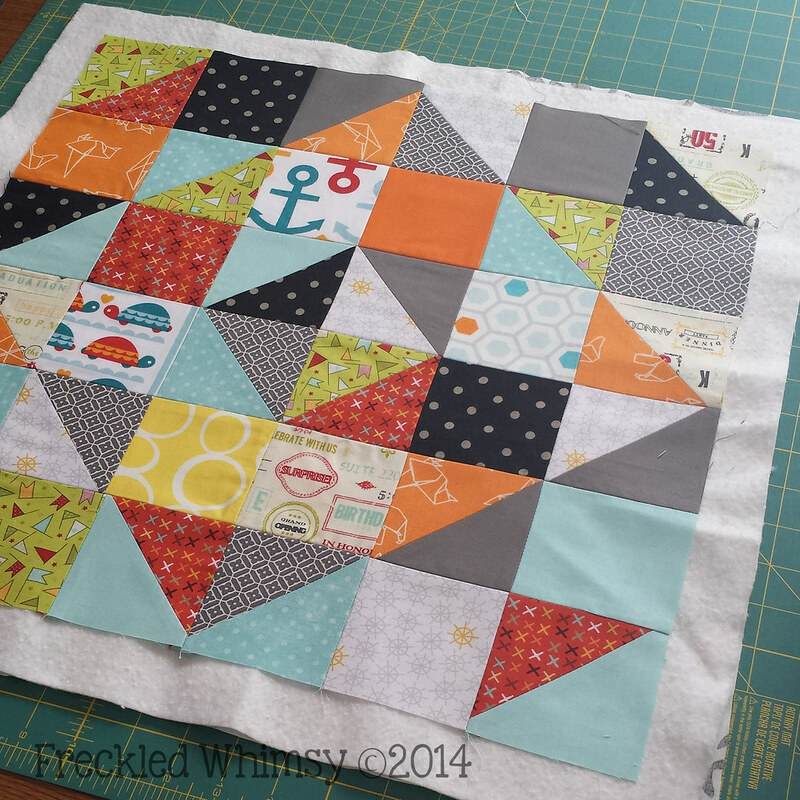 Karrie is here to show off her blogger bundle, and we are giving one away! 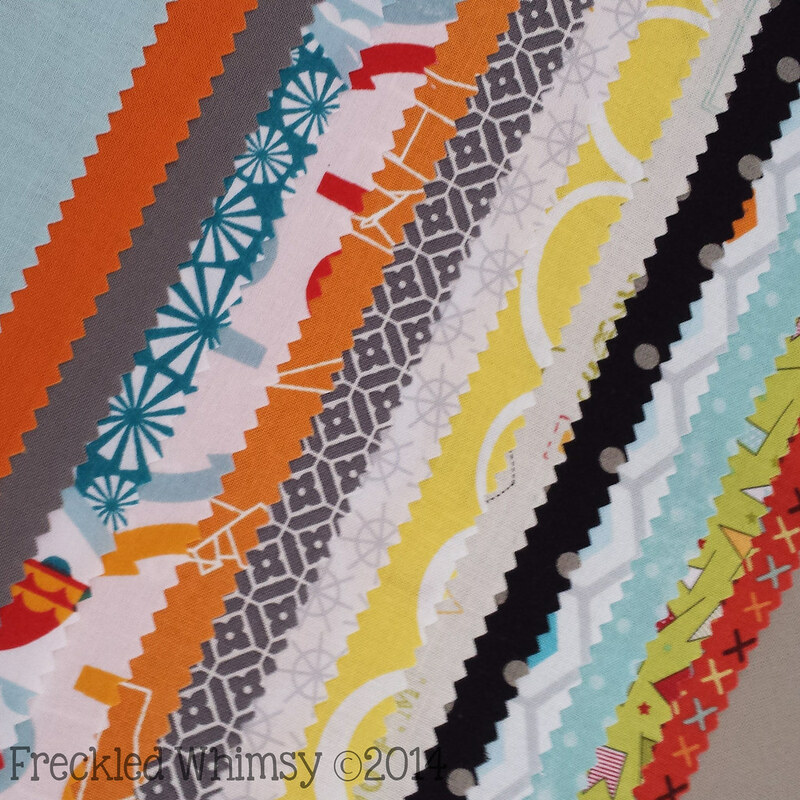 A: I wanted to choose a project where I could use only what was in the Fat Quarter Bundle so I chose a simple pillow design. The pillow consists of half square triangles and squares to create a pattern. 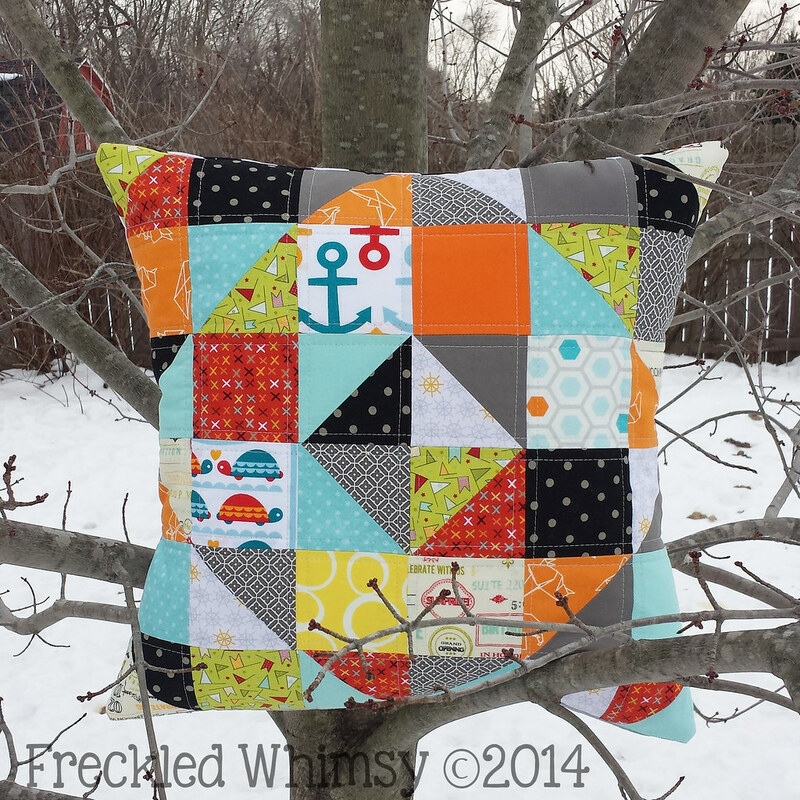 After seeing the actual pillow come to life, I just might make a few more only turn them into a quilt! 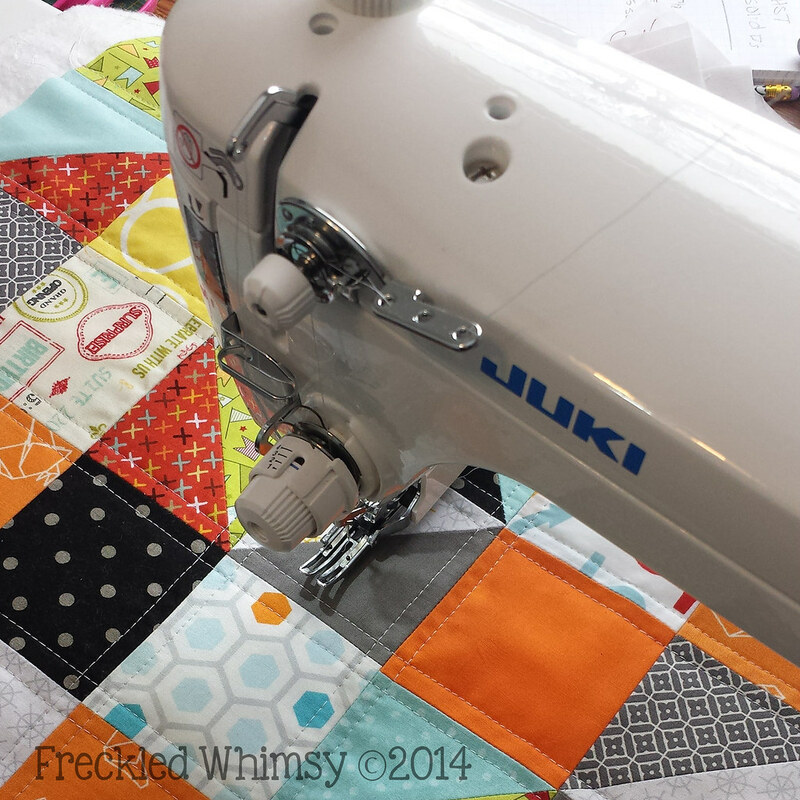 A: I am currently finishing up two quilts that will be released as new patterns. The will be released at the end of March. Be sure to follow my blog to stay up to date! Leave a comment on this post choosing one of each pair you think Karrie would have selected. Answer correctly and you will have a chance to win one of her Blogger’s Choice Fat Quarter Bundles! Be sure to include your email address in the comment. A winner will be chosen and announced here on this post on Wednesday, March 26th. Good Luck!